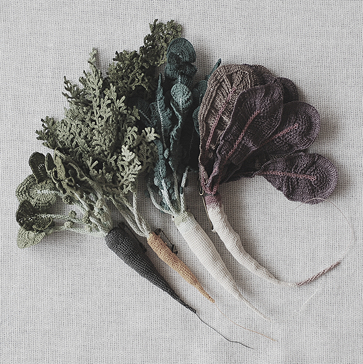 These fantastic knitted/crocheted vegetables were made by Japanese designer Itoamika Jungjung, and are actually made to wear! 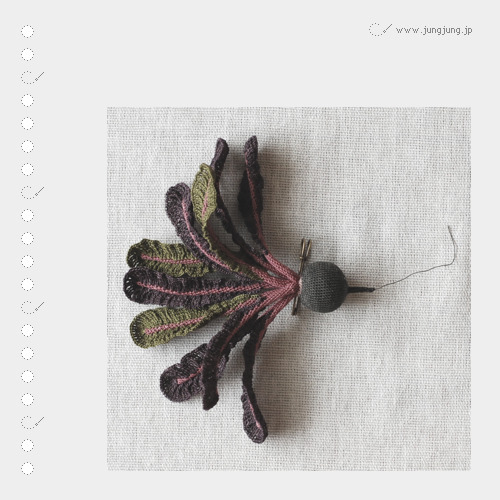 I can't find out anything else about Jungjung, she/he (I'm guessing she) does have a website but there is only a few logos on it at the moment. Anyway, I think she has done an amazing job. I like the beetroot the best. It always amazes me how clever and patient some people are. I love the beetroot as well. I have trouble just knitting a scarf. hey ho. 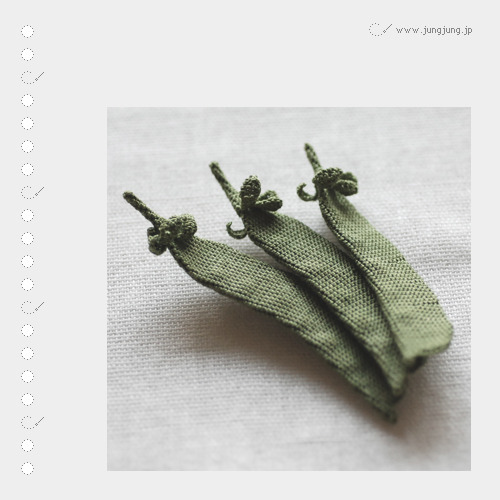 Gosh, I wish I could knit like that. Yes, I have just seen the weather forecast and sitting by the fire with my knitting needles seems like the far better option!